The Humboldt Fog gray shaker cabinet line is, like the Windsor White Shaker, one of our most extensive cabinet lines. With a wider variety of options and accessories, the Humboldt Fog shaker provides incredible versatility and uncompromising design. The doors and drawer-fronts are made of the latest in engineered HDF material, providing the utmost in stability to prevent cracking and warping. Soft close mechanisms come standard on the full-extension drawer slides and door hinges. 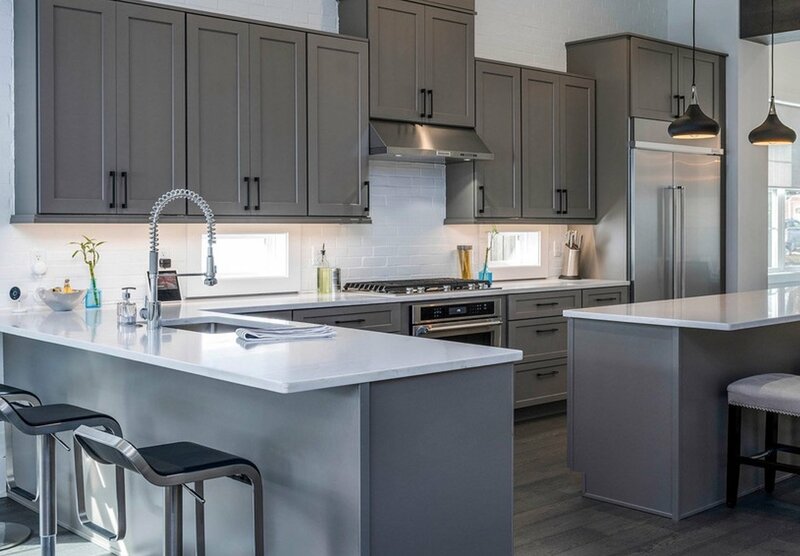 Whether it’s the sturdy plywood construction, the solid hardwood face frame, or dovetail drawer-boxes, this gray shaker is ready for years of worry-free service. Order Now to be one of the first to receive this new line of cabinets in mid-April! PRESALE: Cabinets will not ship out until mid-April 2019.